Pearl white (RAL 1013) satin lacquer ash cube side table with ivory (RAL 1014) trim. Bespoke dimensions and finishes available on request. Measures: W 50 x D 50 x H 55 cm. 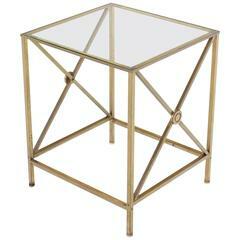 Mid century modern forged brass X base side table stand with glass top. 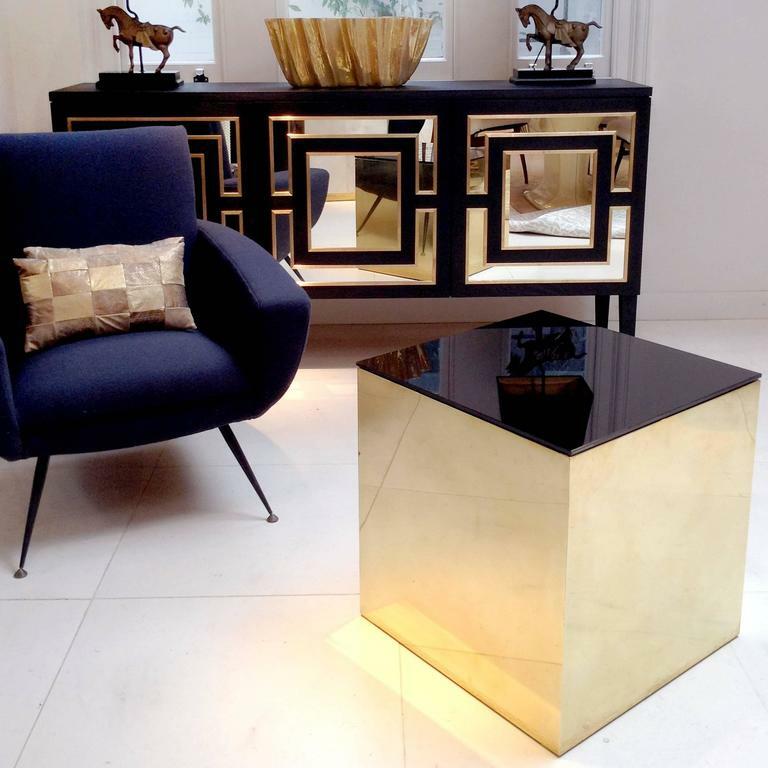 Travertine side or end table. 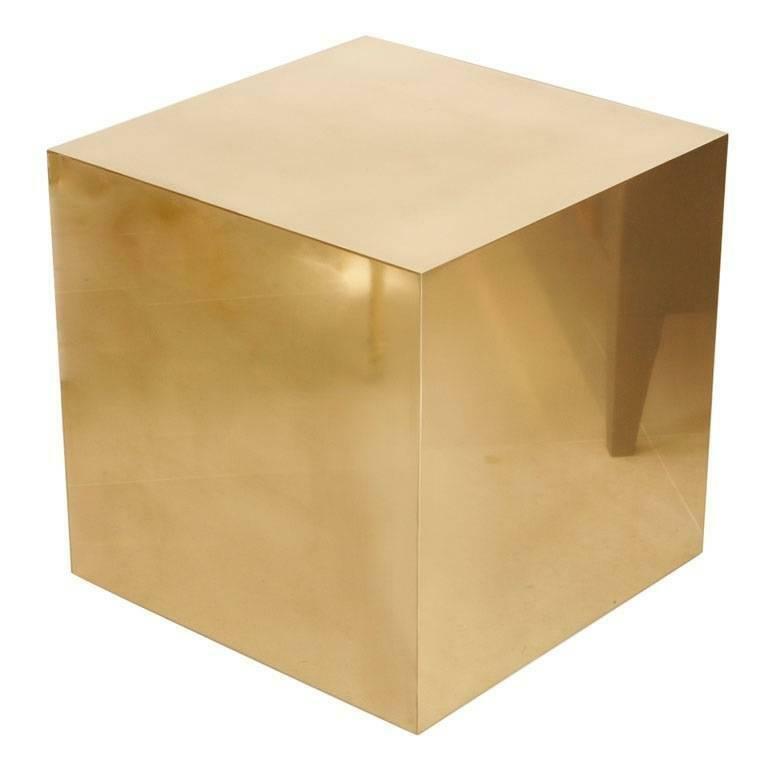 This modern richly veined cube would make for a good drinks table. Minimalist design piece, made of lacquered wood, with Industrial rods and handles made with barrel and copper connection.